Want to try an energetic design? 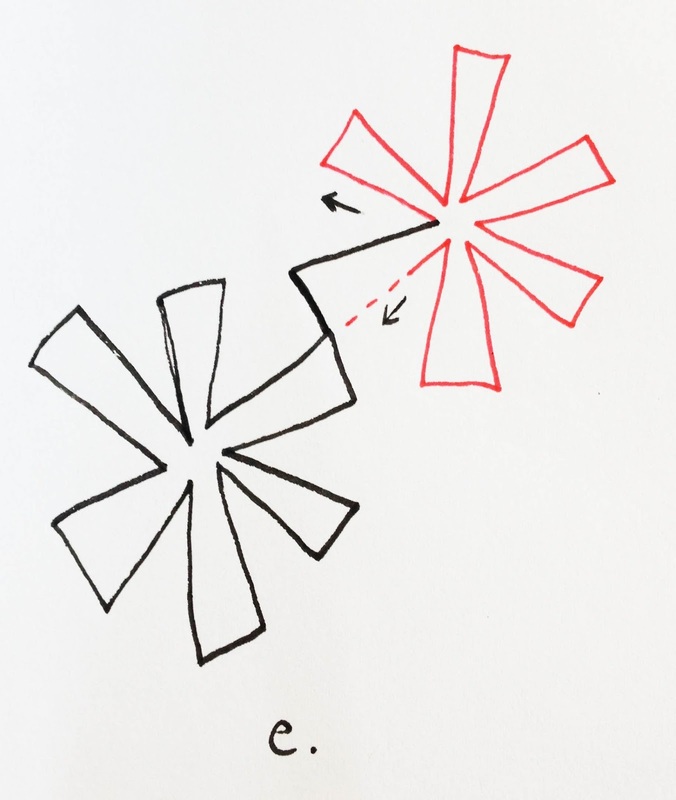 A design that you make one starry asterisk* at a time, connecting each little asterisk** to the next into all-over sparkly garlands of love? You do? Wonderful! This design is made through the magic of travel stitching, or stitching over what you've already stitched. When you try it, don't get worked up about that traveling. Whatever you're traveling on you already stitched once, you can stitch it again. And take a close look at my samples, I don't always hit my lines either and it still looks delightful I think. a. Make a wedge shape, which is like a long skinny triangle but not completely finished. b. Make another wedge shape, pivoting so it's angled in a different direction. 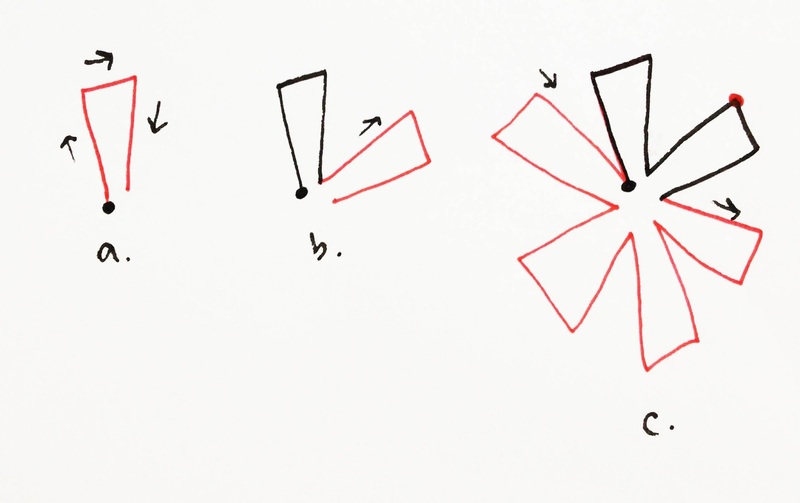 c. Continue with wedge shapes until you have come full circle to make an asterisk. NOW, think about where you want your next asterisk to connect to this one. In the picture above, I decided to go over to the corner marked by the red dot. 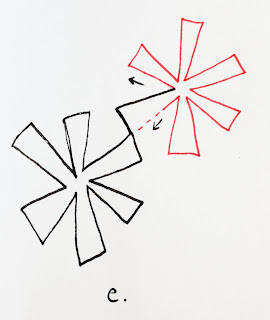 d. Now you can see in the picture below that to get over to that corner you travel a bit around some of the asterisk you just made, by tracing right over the line. 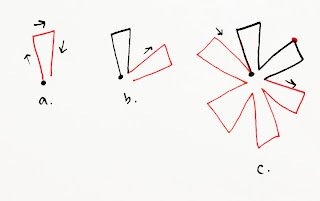 Once you've reached your corner, you start a new asterisk. NOTE: Instead of starting from the inside of the asterisk, which is where the first one started, all your subsequent asterisks start on the outside of the asterisk, so you don't start with a wedge shape. 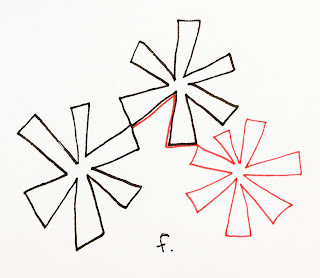 This time you start with an "L" shape, ending your "L" where the center of the next asterisk should be. 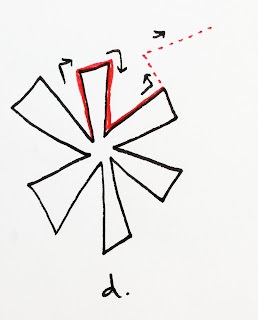 e. Now that you're in the center of the asterisk you can complete that asterisk with wedges all the way around, just like before, finishing back at the corner where you started. 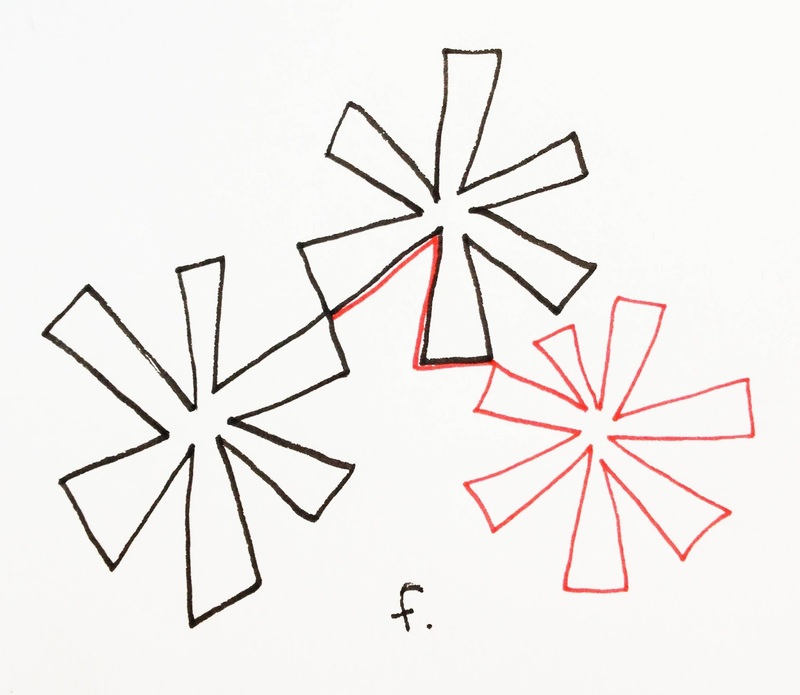 f. And that's the whole strategy; Finish an asterisk, travel around it to an open space, then make an "L" shape to get to the center of your next asterisk. Do that over and over! 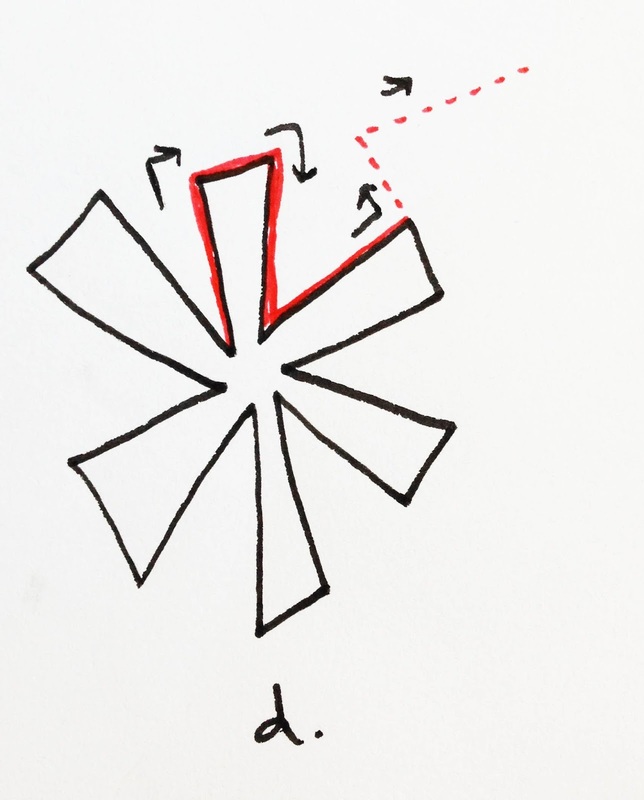 You will definitely want to sketch this design a few times so you feel comfortable with where to put your next asterisk and the whole "L" shape thing. And hey, watching a video of me stitching it won't hurt either! No hate here. I like your brand of silly. Love this design! I'm still in the lurking mode as far as FMQ (not sure why it scares me so much!) ~ it's really helpful to see your designs in action! I have quilted different asterisks that have lots of traveling back on them. I think these would be easier. i LOVE this design - the geometry yet looseness - and the irregular spaces between, which only add to the interest - it looks modern and fun. Thanks so much for the tutorial! You make even the hard stuff look possible. **hee hee - i love you 'cause you're silly. ooh this is such a great design and a great tut! thanks ! What type of machine do you use for your free motion quilting?